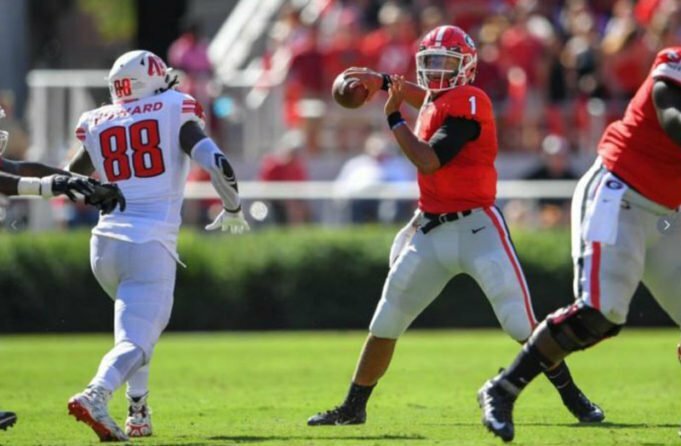 ATHENS, Ga. — Georgia true freshman quarterback Justin Fields has been named Southeastern Conference Freshman of the Week following his performance during the 66-27 win over Massachusetts, according to a league announcement. This marks the first SEC weekly award for Fields in his career. 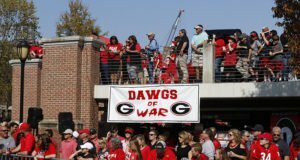 This is the sixth SEC weekly honor for the Bulldogs in 2018 after place-kicker Rodrigo Blankenship garnered the Special Teams Player of the Week recognition following the win at South Carolina and quarterback Jake Fromm was named the Offensive Player of the Week after the victory over No. 9 Florida. D’Andre Swift (Offensive Player) and sophomore Andrew Thomas (Offensive Lineman) were also honored after the win over No. 9 Kentucky and Swift was again honored by the conference following the victory over #24 Auburn. Fields, a native of Kennesaw, Ga., went 5-for-8 for a career-high 121 yards and two touchdowns through the air. He added a career-high 100 yards rushing and a score on seven carries during the Bulldogs’ victory. 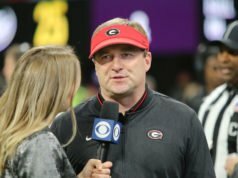 Georgia’s 66 points was the most for the program since the Bulldogs blanked Troy 66-0 in 2014. Fields’ 100 yards marked the first time a quarterback had led the Bulldogs in rushing since 2005 (D.J. Shockley vs. Boise State, 85 yards) and made him the first Georgia signal caller with 100 yards rushing since Quincy Carter went for 114 versus Kentucky in 1998. 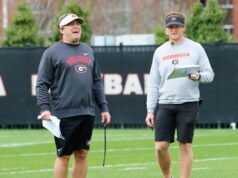 Along with fellow signal caller Jake Fromm, Fields directed an offense that tallied 701 total yards on offense, which ranks No. 2 in school history behind the 713 tallied versus FAU in 2012. The No. 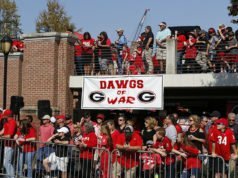 5 Bulldogs (10-1, 7-1 SEC) play host to Georgia Tech (7-4, 5-3 ACC) on Saturday. The SEC Network will televise the matchup between the instate rivals at 12 p.m.